Baldness does not happen only in men. Women may develop female pattern baldness as well and this can cause thinning of the hair in the entire scalp. This can be a very stressful experience for anyone. Here are some reasons that cause hair loss in women. It is a condition that is caused by a hormone imbalance. This can cause loss of hair on the scalp while there will be extra hair growth elsewhere in the body, especially the face. 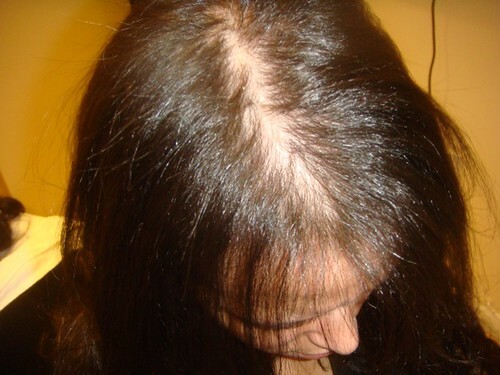 This is an auto immune disease which causes hair loss in patches. The hair will grow back but the process will repeat several times. This causes permanent hair loss and is caused by inflammation and scarring of the hair follicle. This condition can be seen in patients suffering from diseases such as lupus. Pregnancy, childbirth, onset of menopause or the use of contraceptive pills causes hormonal changes in the body. These changes often cause hair loss, though not permanent. Treatment for cancer such as chemotherapy and radio therapy can cause severe hair loss as can other medications used to treat depression, gout and heart problems.